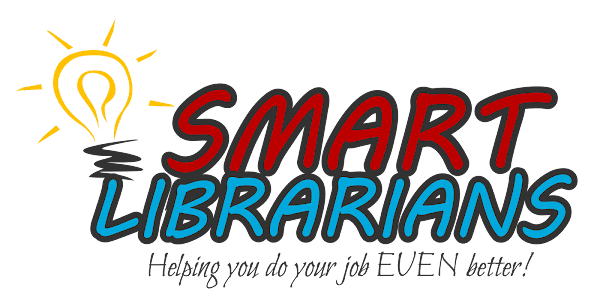 If you are new to us or have missed any previous issues, you can read them all at www.smartlibrarians.com. And please tell your friends about it! Experiences are better than stuff! I gave myself a raise! When most people think of the library, they think of books, and rightly so. With a very few exceptions, your media center has more books than any other resource, even if you don’t count e-books. But we both know that the library media center contains so much more! When a student or teacher goes to the library, they may well leave with a book. Or a DVD. Or a piece of equipment. But often they leave with an answer to a big question. A student struggling with family problems may leave with an assurance that she can overcome her situation. A teacher may walk out of the media center with a new idea for teaching a tough concept. Students learn empathy when they read about the challenges of a character in a compelling story. A minority student may be inspired by reading about someone just like her who changed the world. Imaginations are awakened. Ideas come to life. Lives are changed. Your library looks like a room full of books to some folks. But we know that they are filled with SO much more! #10. Reward readers with EXPERIENCES, not just stuff. EX. Lunch in the Library, first checkout of new books, allow a hold on a favorite series. People remember the things they DO and EXPERIENCE longer than they remember the STUFF that they get. So why not give your kids experiences! Going to a show, going first in line, being the first one to checkout a new book, having lunch with YOU – all these things man a lot more than a fake plastic rainbow Slinky shaped like a book from Oriental Trading! And experiences are usually cheaper! Earlier this year, I worked with a REAL web designer and upgraded my website, www.TommyJohnsPresents.com. And when I did that, I raised my prices for the first time since 2005! But here’s a deal for folks who read the WHOLE newsletter. If you book any programs for any time in the 2016-17 school year, you get the old pricing! All you have to do is send me an email and say “I want the old price!” The only catch is that you must contact me to book the program before my birthday on September 12, 2016. That’s when this offer expires. The program can be scheduled for any day this year, but you must book it in the next 25 days. Let me know how I can help! See you next week! Many of you are among the first in the building every day. You are available to and have the responsibility to serve every student and teacher in the building. The variety of questions you get each day are amazing in their subject matter and how MUCH they matter. You have to be an enthusiastic advocate for reading and technology, even when those two things seem to be contradictory. And all of this while having to explain to family and friends that your job is SO much more than checking out books and returning them to the shelves! Why in the world would you willingly accept such a challenging and underappreciated job and why would you EVER return to it year after year? Because what you do MATTERS. What you do MAKES A DIFFERENCE. What you do CHANGES LIVES. And that’s enough reason to do what you do. Keep up the good work. And know that no matter what happens next, you are following a high calling. Thank you for what you do! For the past two summers, I have played songs before my library shows that SOUND like songs from the radio that everybody knows, but they really promote reading! Kids LOVE these song parodies and you can use them to promote reading. There are dozens of these types of songs on YouTube. Librarians are a VERY creative bunch! Do a search for Reading Song Parodies and you'll have lots to choose from. Enjoy these and play them during checkout, prior to the start of the day or even during a Maker Space visit!